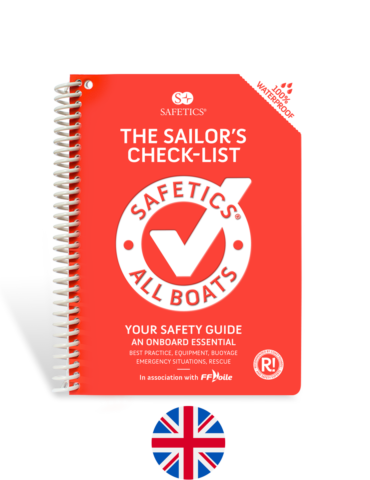 Guide : the “SAFETICS” guide, a complete guide to navigation at sea inspired by aviation checklists and using a compilation of information essential for navigation at sea, up to 6 nautical miles from a shelter under French law. Structure : means any published product, including the Guide, proposed for sale on the Site. Site : dsignifies the website www.safetics.com . User : means any user of the site, including when purchasing any guide from the site. These TOS govern the use of the site and the orders of any book made through the site. The use of the site requires the unreserved acceptance by the user of the following specific conditions that the user expressly acknowledges having read, understood and accepted. The current version of such terms is available at any time from SAFETICS SAS and is also freely available on the site. Any waiver of the TOS shall, in order to be valid and binding on SAFETICS SAS, be the subject of a written document referring to these TOS and signed by an authorized person. The price of the guide or any other work for sale on the site is indicated on the site or on the work in euros, all taxes included but excluding processing and shipping charges. Orders are placed following the purchase procedure described on the site. Shipping costs are available upon request from SAFETICS SAS and are specifically mentioned during the purchase process. They vary notably according to the country of delivery, the nature and the quantity of the acquired works. SAFETICS SAS reserves the right to cancel an order when the identity of the user, his postal or bank details are inaccurate. SAFETICS SAS is obliged to deliver the order only subject to the effective receipt of the sums due. SAFETICS SAS sends the order to the address indicated word for word, when ordering. If this is incorrect, in any case Safetics SAS can not be held responsible for any delivery errors. All orders accepted by SAFETICS SAS are the subject of an invoice issued by SAFETICS SAS and specify the title, quantity and amount of the selected books and the delivery price and processing fees to be paid by the user. The payment of an order on the site is made via the payment system for SAFETICS SAS by credit card (Carte Bleue, Visa, etc.) or via the user’s PayPal account or by any other means that SAFETICS SAS will make available on the site. For any credit card payment, SAFETICS SAS has a secure payment system implemented by Stripe. This payment protocol is recognized for the protection of data transmitted over the internet. The banking data of the users (number, expiry date, etc.) are encrypted before being sent to the payment server. SAFETICS SAS cannot be held responsible for the period of the banking authorization made on the credit card, this delay resulting from the banking establishment of the holder of the bank card. The effectiveness of the transaction is confirmed by sending, within twenty-four (24) hours after the end of the process of this payment, as well as a confirmation email to the user. The sending of this mail makes the order firm and final, subject to the effective receipt by SAFETICS SAS of payment for the products received by the user. In case of refusal of these banking organizations, the order process will be automatically cancelled and the user will be notified by e-mail. SAFETICS SAS recommends the preservation of e-mails sent to the user until the delivery of the works. SAFETICS SAS cannot under any circumstances be declared responsible in case of failure of the user in the delivery of his electronic coordinates and / or in case of non-reading by the user of the emails received from SAFETICS SAS even if the mails received are automatically redirected to the “junk mail” (SPAM) section of the user’s mailbox. The Works ordered will be delivered to the address mentioned by the user during the ordering process, within a maximum of 30 (thirty) days, unless otherwise provided in the order form, and this from the receipt of the order settlement. receive an equivalent work, within the limits of available stocks. The delivery costs of the replacement work will be provided by SAFETICS SAS. be refunded the price of the work ordered, within 30 days of the request by cheque or transfer. 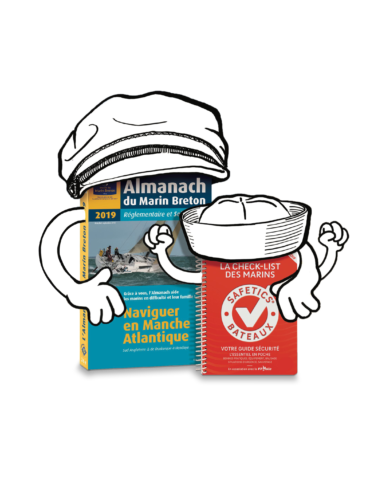 The books acquired by the user will be delivered in metropolitan France within a maximum period of 30 working days. In the overseas territories and in a European Union country other than France, they will be delivered within a maximum period of 60 working days. SAFETICS SAS undertakes to make its best efforts to deliver the works ordered by the user within the time specified above. In case of non-compliance with the delivery deadline, for any other cause than a case of force majeure as defined below, the sale can be solved by registered letter with acknowledgment of receipt and request for reimbursement of the sums paid by the User within a maximum of 30 working days, excluding any other compensation. The works ordered on the site which are to be delivered outside the European Union sometimes impose certain obligations for the user, as well as taxes on the importation, which are added when the parcel reaches its destination. Any additional customs clearance fees are the sole responsibility of the user, SAFETICS SAS has no control over these regulations. Since customs policies vary considerably from one country to another, SAFETICS SAS recommends that the users concerned contact the local customs service for more information. 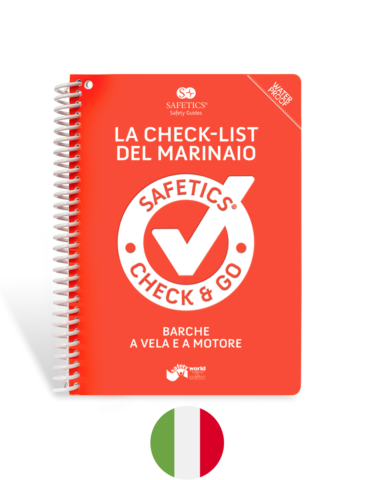 In application of Article L. 121-20 of the Consumer Code, the user has a period of 10 days from the receipt of the order placed on the site to return it to SAFETICS SAS for exchange or refund. Return shipping costs are the sole responsibility of the user. The user must make his return via colissimo and send it in its original packaging, in perfect condition, accompanied by the invoice to the following address: SAFETICS SAS 30 rue Monsieur le Prince 75006 Paris. Damaged, unsealed, soiled or incomplete works will not be taken back. Refunds will be made by cheque or bank transfer within 30 days of receipt of the request. All information and data published on the site and in the guide are provided for information purposes. The photographs and texts used on the site are not contractual. SAFETICS SAS can not guarantee the user that the services of the site will be free from defects, errors or defects that they are likely to encounter. It reserves the right to temporarily suspend access to the site or to certain functionalities, in particular for scalable or corrective technical maintenance operations specific to its operation. 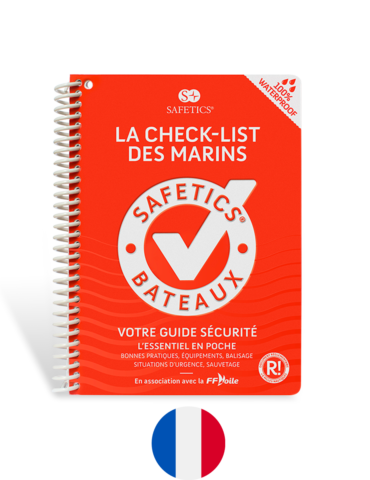 SAFETICS SAS declines any responsibility for the possible loss of user information on the site and recommends that they regularly organize the safeguarding of this information. SAFETICS SAS can not under any circumstances be held responsible for any indirect damages as a result of the present, operating loss, loss of profit, loss of opportunity, damages or expenses. In application of Article 1124 of the Civil Code, unemancipated minors are unable to sign. Consequently, SAFETICS SAS can not be held responsible in case of unintentional collection of personal data relating to a minor. SAFETICS SAS owns the intellectual property rights on the site, in particular all texts, comments, works, illustrations, logos, pictograms, plus any graphic element or design, architecture, software, videos, images, music , etc., whether visual or audio, reproduced on the site or on its works as well as databases for which it has the status of producer within the meaning of the provisions of the Intellectual Property Code (the “Elements”). All Elements are protected under copyright and / or trademark law and / or the sui generis database right for the entire world. SAFETICS SAS will take any action necessary to preserve its rights and interests against any person who proceeds without prior written authorization to the reproduction, representation, translation, extraction, adaptation, translation or dissemination of any whatever manner of all or part of the elements. The personal data of the Users is notably collected during the orders, payments and during the creation of an account on the site by a user. They may be passed on to SAFETICS SAS service providers for order fulfillment. SAFETICS SAS does not use these tracking tools to transmit data to third parties or marketing platforms, nor to link the data with personal data (name, address, etc.) without the express consent of the User. In accordance with Article 34 of Law 78.17 of January 6, 1978, known as the Data Protection Act, the user has the right to access, modify, rectify and delete his personal data. Users can exercise this right by sending a letter to SAFETICS SAS 18 rue de Seine 75006 Paris. If SAFETICS SAS is unable to execute any of the following its obligations as a result of force majeure as defined by law or case law, it will be exempt from this obligation. If one or more stipulations of the ToS are held invalid or declared as such by the act, an order in council following a final decision of a competent court, the other stipulations will retain all their strength and their range. Any complaint must be sent within a maximum of fifteen (15) days after the execution or the planned execution date of service to the following address: SAFETICS SAS – 30, rue Monsieur le Prince 75006 Paris. Any dispute that may arise on the occasion of the execution or interpretation of these Terms, if not previously subject to a friendly settlement between the parties, will be submitted to the competent courts of the Paris Court, even in the case of multiple defendants or collateral appeals.